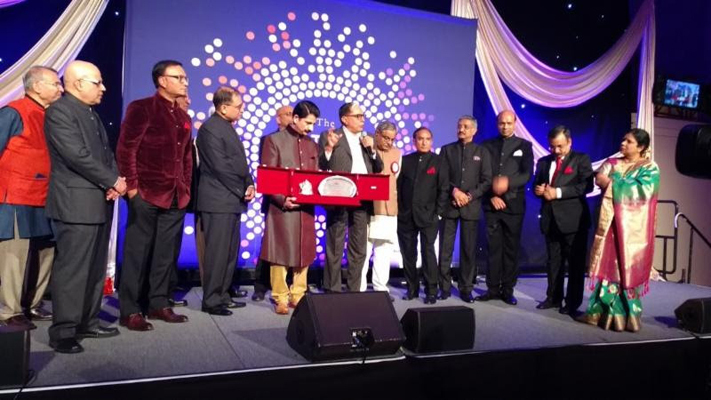 Ekal Vidyalaya Foundation’s (‘EVF’) glittering ‘Gala’ on Saturday, Nov. 4, 2017 at the majestic ‘Cipriani’ on Wall Street in New York City was a grand success. 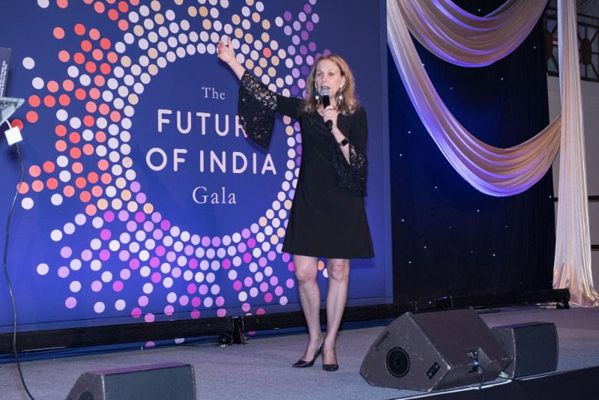 The response for this highly anticipated event was simply overwhelming, not only in terms of capacity-attendance, but also donor’s enthusiasm to support EVF’s worthy cause. The evening raised more than $2 Million. ‘Ekal’ as ‘EVF’ is popularly known, had been raising funds in USA through series of concerts mainly directed at grass-root level, until now. This gala added a new dimension to the fundraising efforts. This impeccably organized spectacular evening’s main architect was Mohan Wanchoo (Chairman, Founder of EC Infosystems). He was ably supported by Chirag Patel (CO-CEO & Chairman of ‘Amneal Pharmaceuticals’), Soner Kanlier (CEO Jasmine Universe) and Rajesh Gooty (Founder, Pres.-CEO of M Corp). 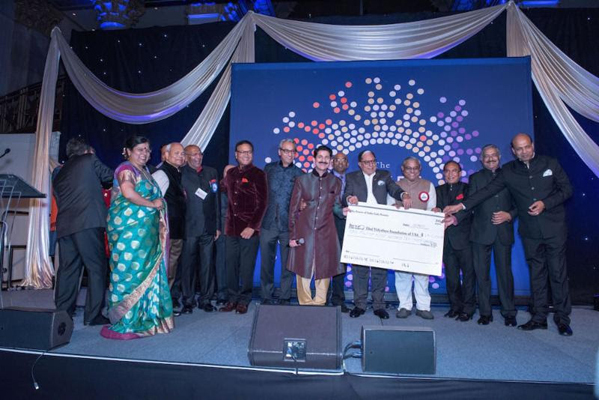 Since its inception 29 years ago, Ekal had been setting new records, year after year in fund-raising. 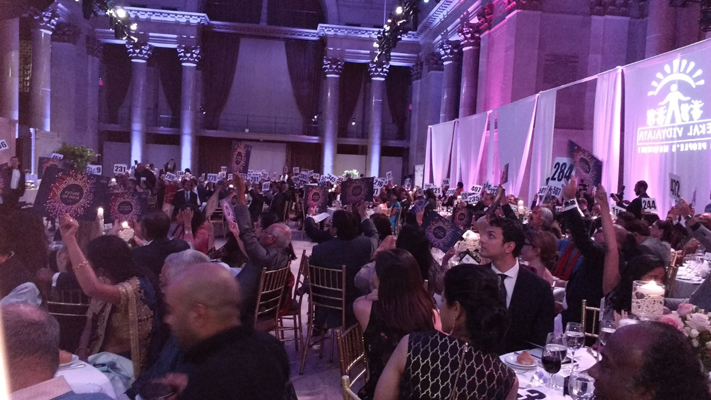 Last year, even without any high-end gala event, this largest NGO, with chapters in ten different countries including in middle-eastern countries raised $7.2 Million in USA alone. 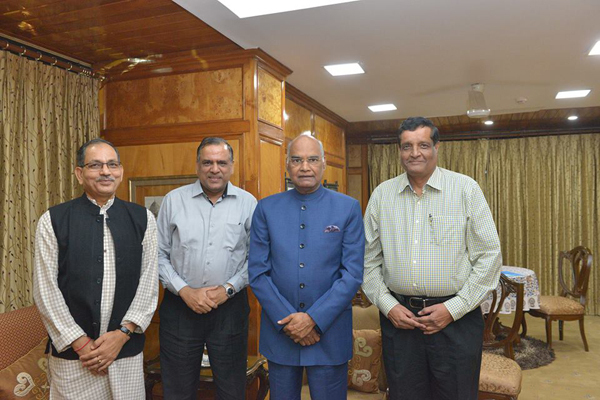 A delegation from FTS comprising of Shri Subhash Sikaria, Shri Ajit Jana and Shri Arun Kumar Bajaj met Honorable President of India Shri Ram Nath Kovind to enlighten him about the work done by FTS in India. They apprised the President on Ekal Heritage Convention of Tribals. The President appreciated the contribution made by FTS in uplifting and educating tribal community of India, particularly in the North East. Ekal's 9th Computer on Wheels being flagged off in Delhi on way to Tinsukia in Assam. 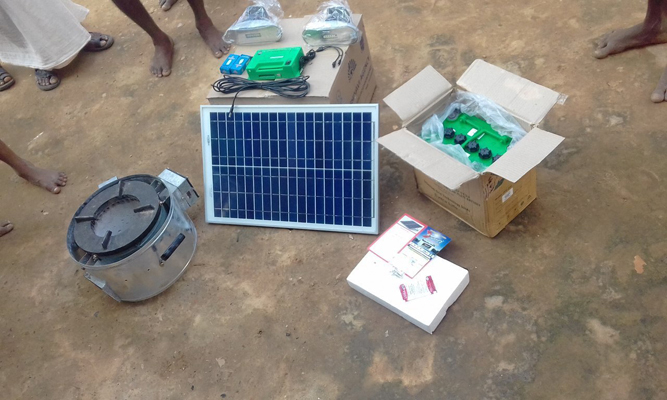 This is the second solar powered digital lab. 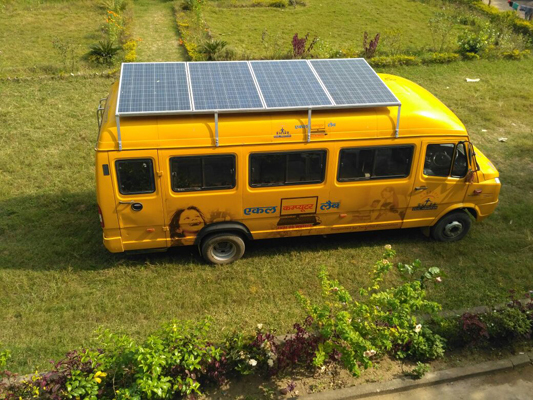 These mobile vans travel village to village providing digital awareness in remote Bharat. 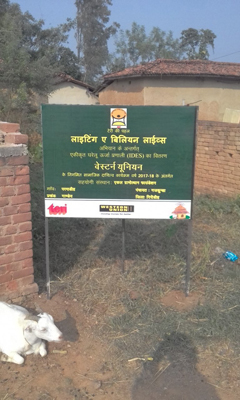 In its pursuit to provide best technological solutions suited for localised needs, Ekal Gramothan Foundation in partnership with Teri has solarized all the homes of the village of Parmadih. The training on solar technology and repairs was given in association with SELCO IN at Ekal GRC’s training centre. 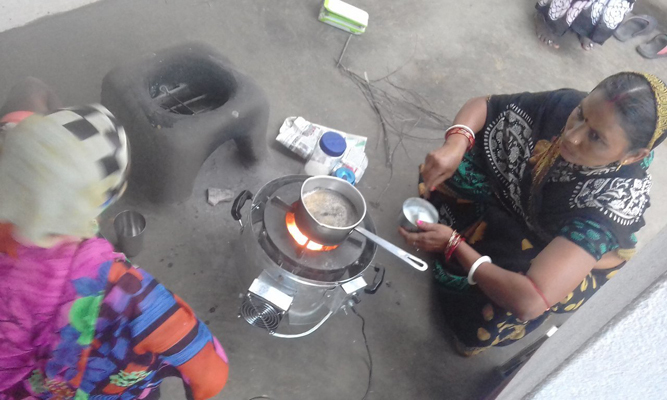 This unique integrated solution provides solarized stove, LED bulb and a mobile charger. The feedback collected from the users, especially women, is very encouraging and positive. 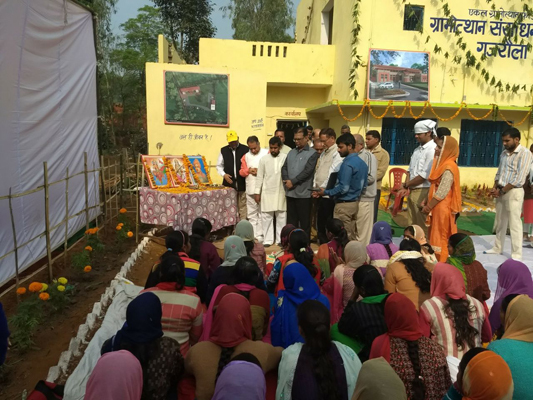 The intervention is a part of Ekal's 'Integrated Village Development' project for the village of Parmadih and is being supported by Shri Satish Mullick (USA). 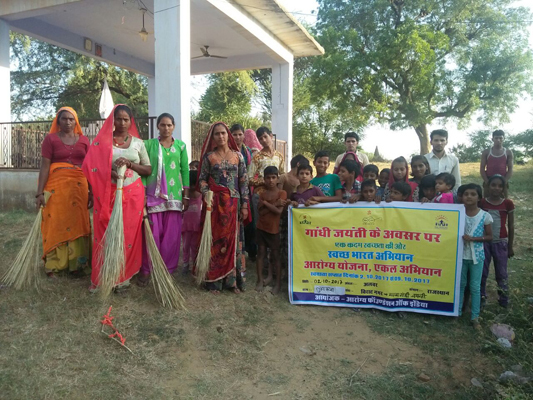 Classes were also conducted on Household farming. 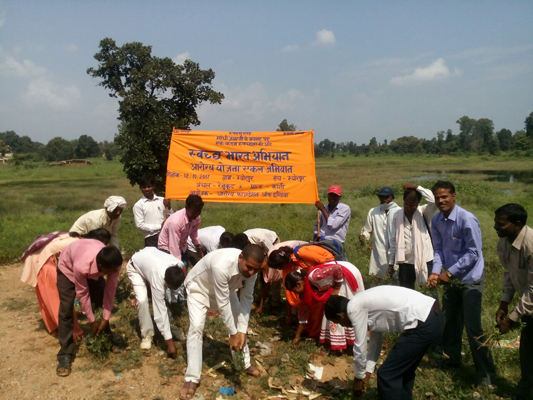 Practical training was imparted on Compost manure, Organic Pesticides, Natural manure etc. 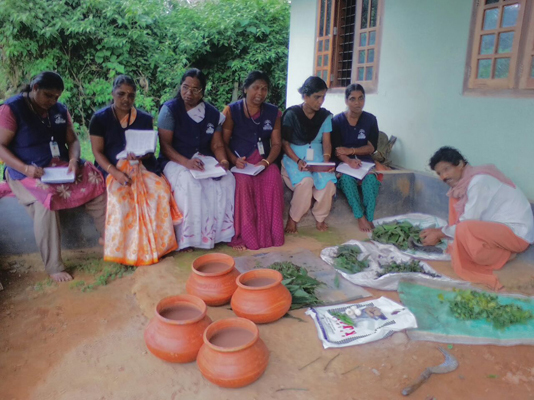 As part of training, household farming was done on the premises of Wayanad Anchal Karyalaya. 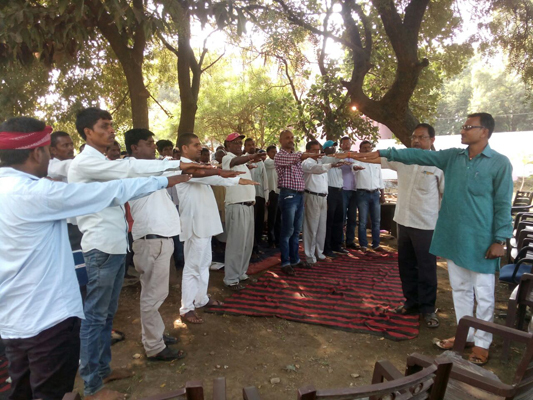 12 Full time workers got trained in the Camp. 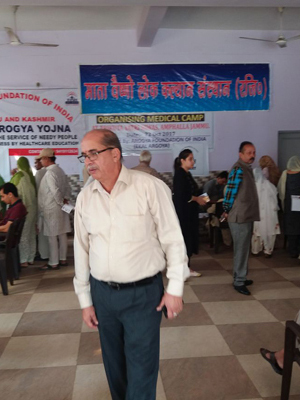 Arogya Foundation with help of Vaisna Lokkalyan Sansthan Trikuta Yatri Niwas organized medical camp at Amphalla, Jammu for old age home (Vridh-Aashram) and other needy patients of locality. 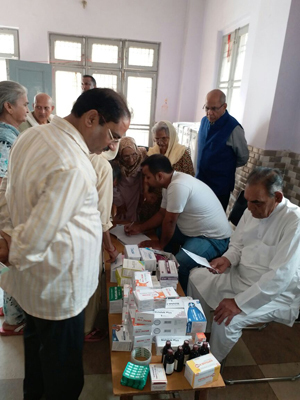 About 250 patients were examined along with free distribution of medicines, free BMD and other tests. Specialty experts including surgery consultant were present. 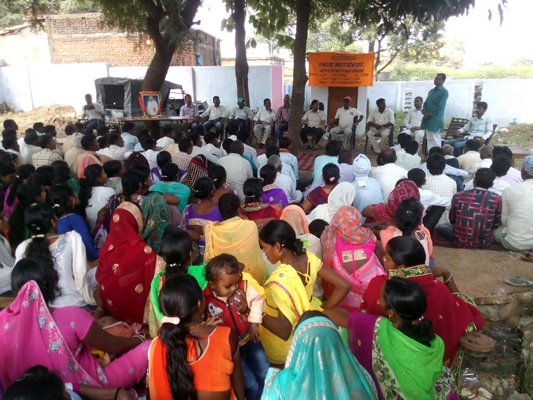 2nd October 2017 on the occasion of Gandhi Jayanthi, Arogyasevikaand karyakarthas educated the villagers on cleanliness, using toilets instead of open ground and waste disposing in 377 villages of Jharkhand, Odisha, UP, Rajasthan, MP, Assam and Kerala. 56,550 people participated. Fts Indore chapter organized a youth wing meeting with Shri ShyamjiGupt on 24th October 2017 coinciding with Diwali celebrations. 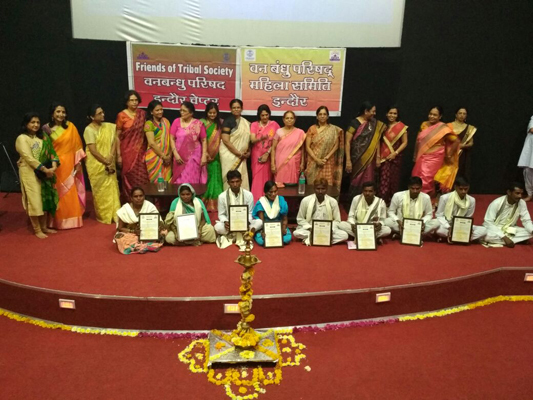 The chapter honored Indore’s full time workers and 10 Acharyas. Ekal Sansthan was shortlisted and invited to participate in "Chintan Shivir" organized by MHRD from 6-7th November 2017 at AICTE, New Delhi to give recommendations on Value Education policy. Smt Manju Srivastava, National President, Ekal Sansthan and Ms Shruti Gupta, Director Programs, Ekal Sansthan represented Ekal in two days brainstorming workshop on Value Education along with 56 representatives from 23 organizations including NGOs, NCERT, SCERT and State governments from all over India. Manjuji presented first Ekal's recommendations to HR Minister, Shri Prakash Javedekar in the group and in the end presented the final summary of recommendations of entire group based on 2 day discussion.Ekal is invited to work on the road map document towards policy advocacy on Value Education to MHRD. 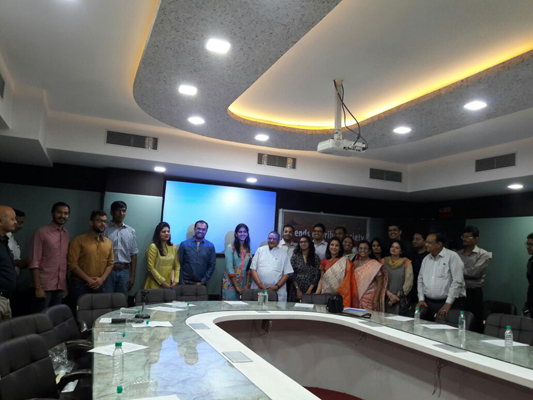 Ekal Sansthan organized its 16th Ekal Study Circle Meet at IIC New Delhi on the theme: "Primary Education for Holistic Child Development" on 28th October. 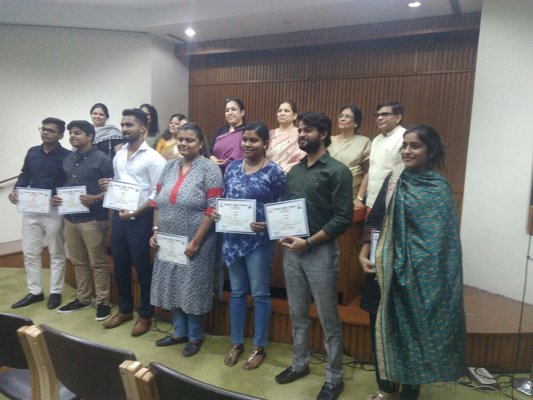 It was enthusiastically attended by experts and students from varied fields especially education and research.The all women panel comprised of Smt Urmila Guliani, teacher trainer & consultant, Smt Renu Vashistha, academician and counselor and Dr Ranjana Arora, Professor NCERT. Ekal's unique 'Activity based learning model' was presented by Smt Manju Srivastava.College student volunteers of recent Dream India tour of Ekal were awarded certificate of participation by the panel. Recognizing Ekal’s positive contribution, dedication and commitment to the society, postal department of India has released Postage Stamp, Special Cover and Post Card for Ekal Abhiyan. Bharat Lok Shiksha Parishad East Delhi Chapter celebrated its Annual Function on 11th November, 2017 titled “Dharti Ki Taakat” in the auditorium of Saint Vivekananda School, Anand Vihar.The function was inaugurated by Shri Shyam Jaju, Prabhari, Uttrakhand, Shri Ajay Tamta, Minister of Textile, Govt. 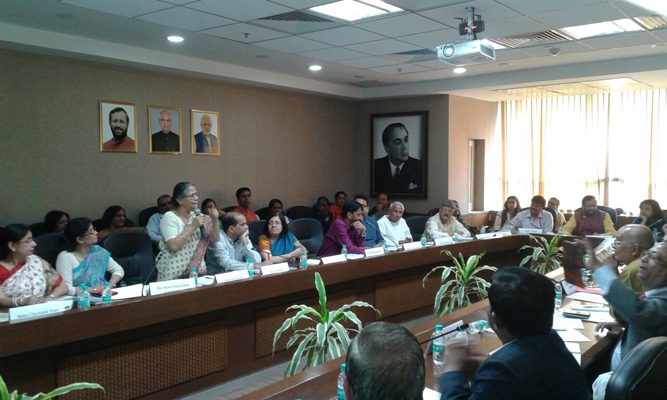 of India with Shri Laxmi Narain Goel and other prominent personalities. 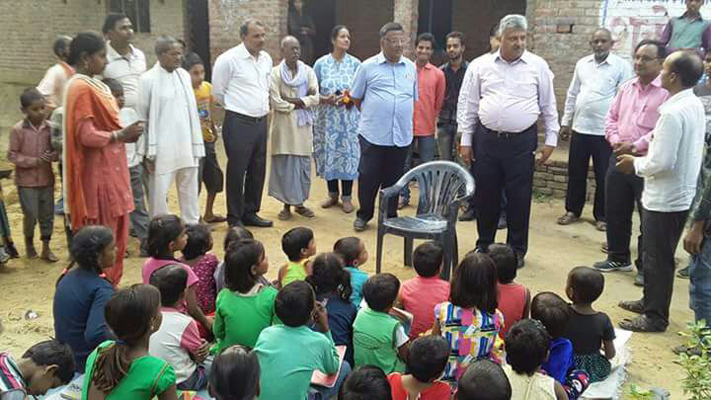 45 children from six villages of Rudrapur, Uttrakhand enacted the fact “Since Delhi people cannot go to Ekal Village School, the School has come to them.” People enjoyed the song, drama, dance performance and showered their love and blessings. On the second day, the children were taken for sightseeing and many gifts were given. The children liked the trip and enjoyed a lot. Foundation stone was laid for 'Madan Lal Agarwal memorial', GRC at Gajraula supported by Ms Prabha and Shri Vinod Jhunjhunwala. This is a great tribute to Shri Madan lal ji and for the noble work he started. All his children Shri Prabhat, Shri Anand, Shri Vinod, Ms Poonam and grandchildren Ms Ranjani and Shri Ajay Poddar are continuing with same enthusiasm and dedication. 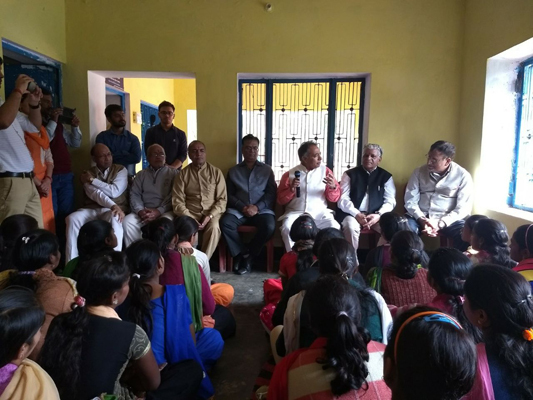 Ekal Abhiyan kanpur chapters general secretary Shri Druv Kumar Ruiya his younger brother Sri Rao Vikram Singh and his wife visited Ekal Vidyalaya in Aliganj. 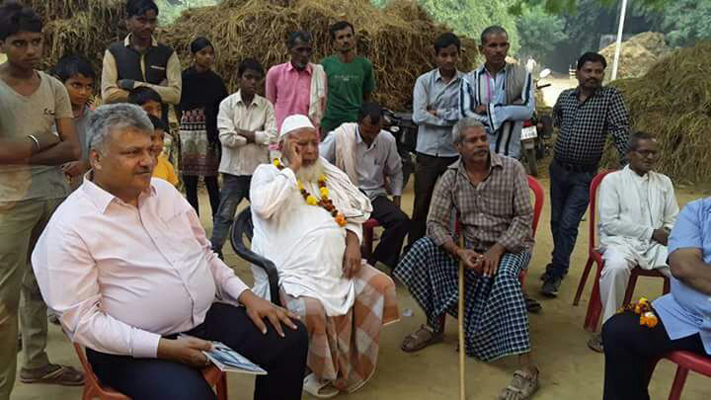 They were very happy for the work done in the village by Ekal. They had conversation with gram samethi and mahila samethi too. 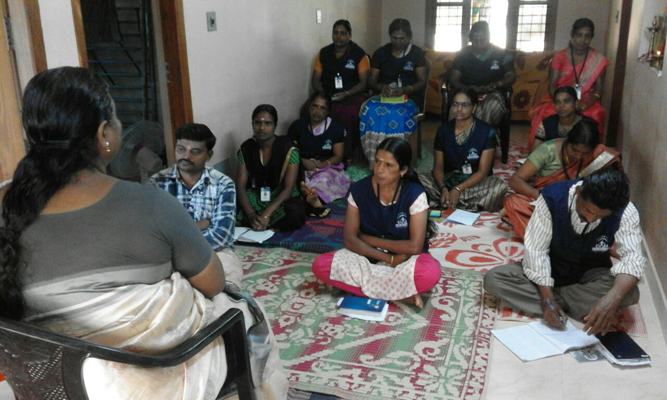 On 07th October, 2017 youth wing co-ordinator Ms Aashritha together with Ms Sathyashree Priya, Mahila Samithi President, Kochi chapter and its treasurer Smt Vimalaji had arranged for a vanyatra of youth (employees) from Cognizant, Kochi.The trip was planned to interact with Ekal students of few schools in Wayanad. First they had visited Ekal Vidyalaya in Pilakkavu village. The students were very receptive.The entire team spent around 2 hours interacting with them. 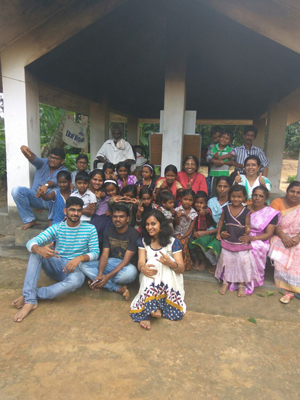 In the noon, the team reached Madam kunnu village after trekking for almost an hour and interacted with Ekal children and villagers. 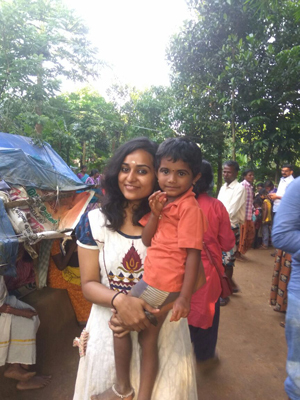 Madam kunnu is a serene place but has no electric connection.The villagers were full of warmth and affection and the classes are being conducted in the Acharya's mud house verandah! 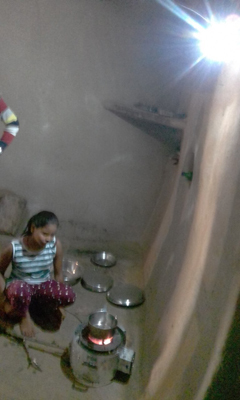 Solar electric power, if provided, would be of immense help to the families residing here. The Cognizant youth were overwhelmed with the work of Ekal and have promised to lend a helping hand in Ekal activities.